If you are looking for a boost, this would be it! 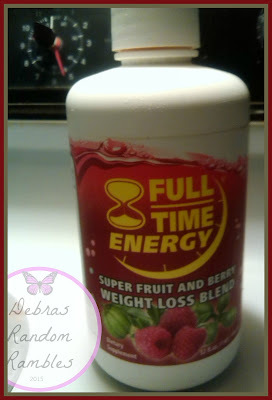 Full time energy definitely delivers a kick in the am. I have been taking it in the morning and usually have an abundance of energy and not looking to nap around 3pm! As someone who has needed boosters in the morning to keep going through the day, I will say this stuff works! I have not need to take a nap at 3pm like I have been needing to lately. In fact I made it to bed at 9pm!! Definitely a re-purchase is in the future! Slim-Fizz is a unique appetite suppressant the groundbreaking fibre Glucomannan, which is a natural dissolvable fibre derived from fresh Konjac.